Living in this fast-paced technological era, the only thing that brings people together is the food. No matter where you go, you can always find some of your local food in the foreign land, such as Indian cuisine, Japanese sushi, Chinese delicacies or Korea food. We love, but not limited, to only our food as we enjoy other food across different culture and ethnicity. Regardless, cooking is not as simple as it looked. Cooking a tasty meal is a tricky skill and takes years to master. Not all of us are born like Gordon Ramsay, cooking is an art which needs passion, time and interest with the correct mindset to start with. Most of the white collars like me can’t even prepare a simple meal for 5. Therefore, I have to count on the technology. Introducing, Sous vide supreme touch+, a French innovation having an embedded technology of artificial intelligence which designed to make your life so much easier. This is basically a water oven cooker that cooks the food with the heat gained from hot water inside an insulated lid. This is to make your everyday cooking tasks easy and hassles free. 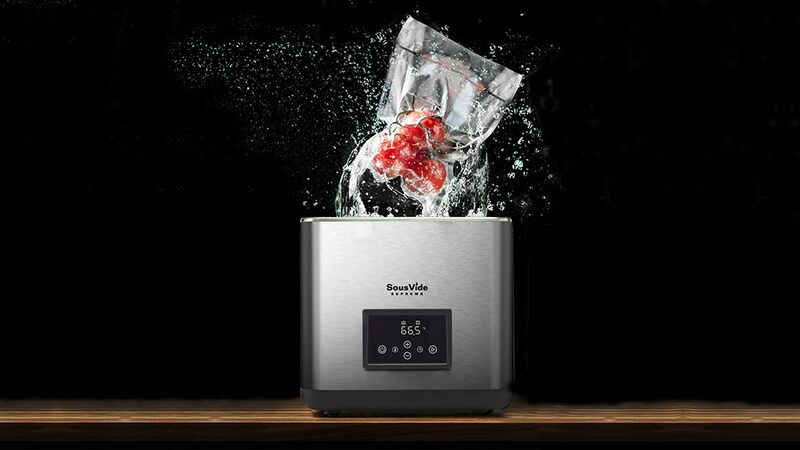 SousVide Touch+ has a water resistant control panel that allows adjusting the water temperature for the perfect doneness. The cooking appliance has thermal plates embedded inside, which heats up the food in FDA approved vacuum bags. With that, it prevents the heat evaporation from cooker inside and keeps everything under control. This touch+ sous machine has a water resistant control panel for controlling the water temperature, on/off, and a timer set button displayed on the screen. A plastic lid offers easy-access so that to keep an eye on the food and its condition. With the FDA approved reusable vacuum bag, there’s no need to use aluminum foil anymore, and it’s best to keep its original flavor and value. This oven is energy-saving — The energy used is equivalent to a 20 W bulb, thereby effectively reduces the cost of electricity. Plus, the double insulation system avoids the heat escape to maximize the cooking. On one hand, it is cool and safe to touch from outside. Wifi Connectivity — Remarkably, the oven can be operated by WiFi via your smartphone. 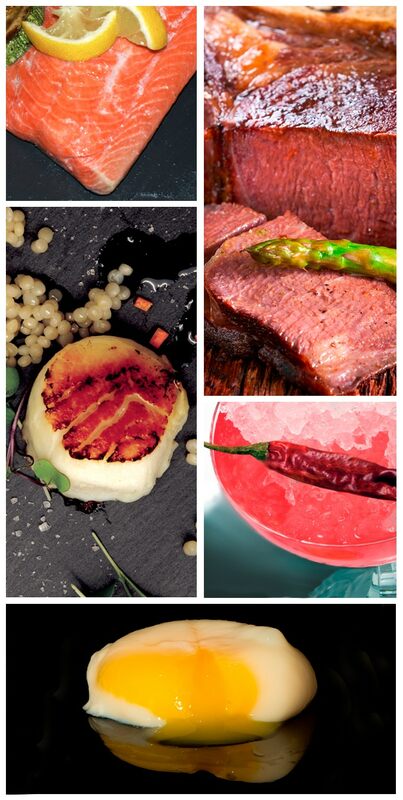 In other words, you can use Sous Vide Supreme Touch+ to heat up the water or start cooking even before you’re home. Mobile Application — By using the Sous Vide app, you can make/schedule your own food recipes or choose the existing one for your dinner. Also, you can upload the pictures and recipe of your favorite dish and share it with the community. Not only teaching you how to cook, but it will connect you to a same-minded group of people who love to cook where you can find multiple new recipes to try. Alexa Enabled — Sous Vide is compatible with Amazon Alexa. This is perfect for your smart home lifestyle, where a simple command will have your meat cooked to a perfect doneness. Limited cooking option — Sous vide Touch+ designs to boil food under the water. But not all the food are suitable to cook it that way. For example, steaming, grilling or frying in the oil. Slow heat-up time — Sous Vide takes a longer time to heat up the water. Therefore, it’s better to control it before you reach home. SousVide Supreme Touch+ is expected to retail for $599. It’s now available on Kickstarter for just $249 where you can enjoy a discount up to 58% off retail price. Check the link below for latest pricing and availability.